Okay recently in one corner of the garden I couldn’t help but notice that everytime I turned around the potato plants seemed to be growing. I thought that it must just be a mistake because they were already bearing down on the 2 foot mark and the guide said they would be 1-2 feet tall. Mind you they started at the bottom of a 6 inch trench. I checked for flowers everyday as a sign that they were slowing down because frankly I just didn’t allot that much space in the bed for the potatoes. Well today they are just three inches shy of 3 feet tall and FINALLY a flower. I can only hope that this is some sort of signal that they have ceased their upward and outward takeover and will now focus on the actual potatoes. If anyone has found a way to send a message to your plants that that will be quite enough, there is no more room for you, please share. I have a couple more renegades that didn’t seem to get the memo. Don’t think that just because you live in a apartment you can’t grow your own food. 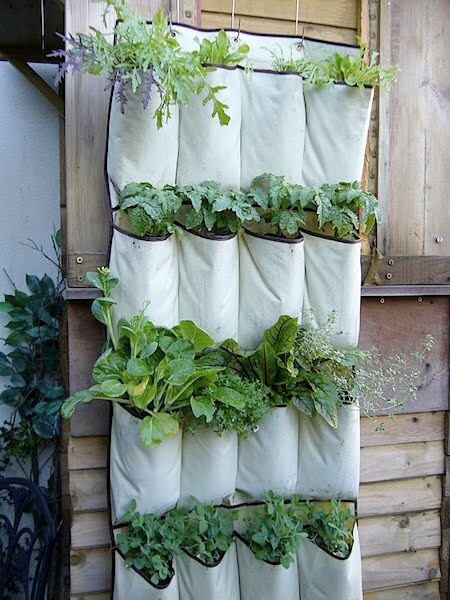 It’s entirely possible to provide yourself with your favorite fruit and vegetables using your kitchen window, balcony, patio or rooftop and even hanging off your roof*! You will be surprised to learn that some of your favorites can even be grown inside (so long boring houseplants). First think about what you actually eat day to day and what is included in your favorite recipes. I’m just going to cover ten here but container gardening creates endless possibilities. Cucumber*-Choose varieties with a more compact growth like bush champion or spacemaster, for growing upside down choose a slicing or pickling variety. Herbs-Basil,Oregano,Rosemary-Probably the easiest to grow and will take up the least amount of space (except for rosemary). Perfect for a windowsill. Many wonderful dwarf varieties available. Lettuce-Buttercrunch is a great variety that withstands heat as is Jericho. Pick the outside leaves for your salad or sandwich and it will continue to grow. Dwarf Meyer Lemon Tree– Can be grown inside, near sun of course, the container and pruning keep it small, has a wonderful fragrance and flowers. Peppers*-Many favorites like Jalapeno and Green Bell. Will need a sunny spot, choose pots a minimum of 12″ deep. 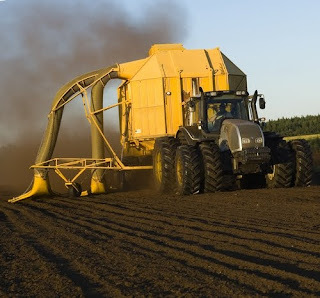 Potatoes-These can get big so be prepared, one potato plant can take up a 5 gallon bucket but it can also give you up to 6-10 potatoes that you can harvest individually each night. Squash-Look for smaller bush varieties. Strawberries-Great for little to no extra space. Tomatoes*-Half wine barrels are a good choice for indeterminate varieties, for those with a little less space choose dwarf varieties that are perfect for smaller containers. No longer will you need to consider where you food came from and if it was sprayed with chemicals. 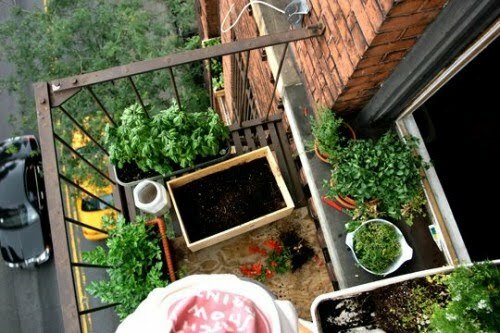 For more great tips on apartment gardening visit: Life on the Balcony a great blog I came across. Seeds in the City is so excited to be partnering with Olivewood Gardens this summer to provide seedlings for their urban garden. Olivewood Gardens sits on a 1/2 acre in National City and they focus on education; connecting local communities to nature, educating them in the process. Their mission is to reconnect students and families to the natural environment through food, education and community engagement. We feel so lucky to share our seedlings with such an important group and the community. However Olivewood still needs your help in the form of fundraising, teaching, garden installation/maintenance, garden tools, kitchen supplies and of course monetary donations go directly to fund their very important work. To make a donation contact Amy Carstensen at 619-336-2253. Great piece on City Farmers Nursery located in City Heights. The Bankers Hill/Mission Hills Garden Tour was today and I think I will let the pictures speak for themselves. After numerous visits to my local nurseries I started to notice a trend in regards to the items I was purchasing. All of them had an identification tag from Pearson’s Garden, so I decided to investigate the origin of all these plants a little further. Pearson’s Garden and Herb Farm is about 40 minutes north of us in Vista. It is family owned and operated since 1989 by Cindy and Mark Pearson. It’s very unassuming from the road, so much so that I drove right past it and had to turn back around because it’s literally the backyard of a house. Not just any backyard mind you, once you enter through the beautiful gates it could be considered Shangri-la to many gardeners. I was absolutely in awe, everywhere I looked there were neat organized rows of every herb and heirloom vegetable you could imagine along with gourmet veggies all in perfect 4″or 6″ pots. Hard to find varieties I had been searching for were finally all in one place. The family is right on hand to help you navigate their nursery and suggest the best varieties. On top of all that you can trust that your plants are grown without chemical pesticides, hormones, fungicides or growth regulators and no gmo’s. Also they do ship! Check out their online store and for me I justified the drive by having a long list ready of everything I wanted. In those terms ordering twice a year in bulk, saving multiple trips to local nurseries makes sense. We have a small kitchen composter but have always considered getting a compost bin setup in the yard. Mostly because we were hesitant to load our tiny composter in the kitchen with steaming fresh chicken manure. Well Josh spotted a couple of discarded wood pallets behind a dumpster and went to work. He disassembled the pallets taking off the inside pieces of wood and turned them horizontally. He then created angled slots in front of the bin which makes loading, unloading and turning the pile easy. Next he placed one pallet inside the bin at the bottom to allow for air flow and finally he loosened the soil where the bin was going to go. Sandy we need your grass clippings! Invasive weeds got you down? We have weeds growing in several inaccessible places in the yard. They usually grow unchecked simply because we do not see them until they are towering over us, this Godzilla of weeds actually turned out to be more like a weed tree. Well now that Josh has gotten a week off he decided to attack these trees which actually required a chainsaw. I was floored to say the least and when he wasn’t looking I threw a couple of weed seeds back into the pit from which it came envisioning new trellises for my beans and cucumbers. Maybe someday he will tell us how this came out of that giant weed.